The temperature around these parts has suddenly taken a nose-dive. From a pleasant, if a little chilly, seven degrees it has now plummeted to an icy minus three. The dreaded ‘s’ word has been mentioned. When it’s this cold, the only thing that will coax me out of my lovely warm bed at seven in the morning is a bowl of porridge. I am suffering the onset of my usual autumn/winter cold. 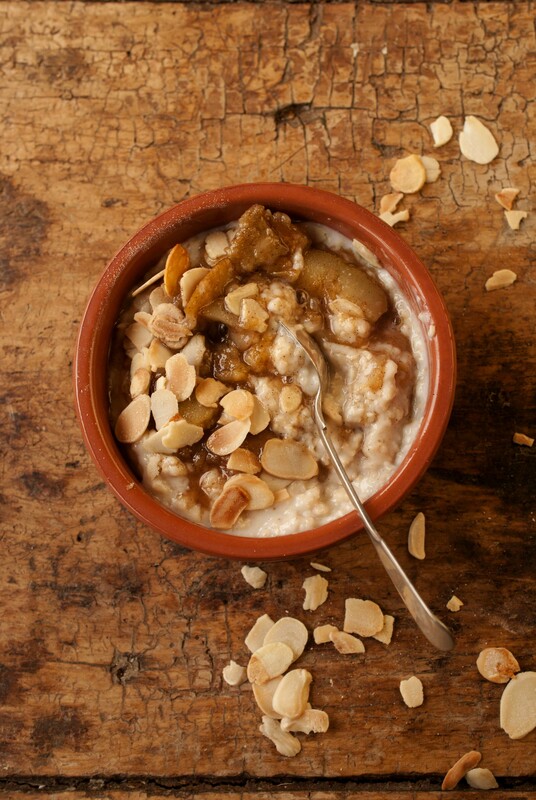 It was with a severely blocked nose that I made my first batch of spiced pear compote to go with my morning porridge. Having neglected to read the faint label on the spice jar, I liberally sprinkled in what I assumed, relying purely on my non-existent sense of smell, to be cinnamon. It was in fact chilli powder. I didn’t discover this, however, until the next morning, when I sat down to tuck into my porridge and compote, only to be proverbially whacked in the face by so much chilli it made my eyes water. Well at least it woke me up. There was something quite pleasing about a slight bit of chilli in amongst the sugary pears and creamy porridge, although maybe not in this quantity. So this was attempt two at pear compote – relying on my much more reliable sense of sight to decipher the contents of the spice cupboard. I’ve included a tiny pinch of chilli powder as an optional ingredient, but feel free to leave it out if you consider it mildly insane. First, make the compote. Core the pears and cut into small chunks – I left the skin on, but peel them if you want. Place in a saucepan with a splash of water and the sugar, and put over a medium heat. When the liquid becomes syrupy, add the spices and continue to let it bubble away for about 10 mins. 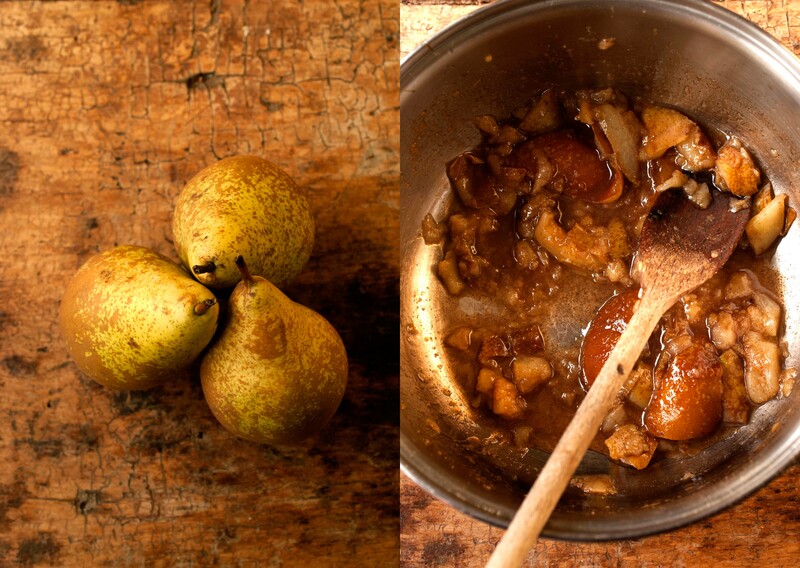 It might need a little mash with a fork to help the pears break down if you left the skins on. 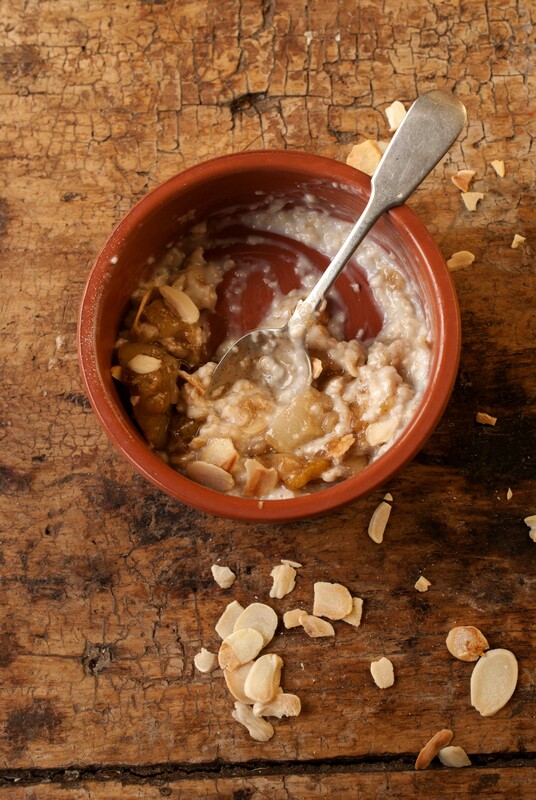 When the compote looks almost ready, make the porridge. Put the oats and milk in a pan and set it over a medium heat, stirring continuously, until the mixture thickens to the desired consistency. When the porridge is almost ready, put the almond flakes in a dry frying pan over a low heat, shaking the pan until they turn a light brown colour. 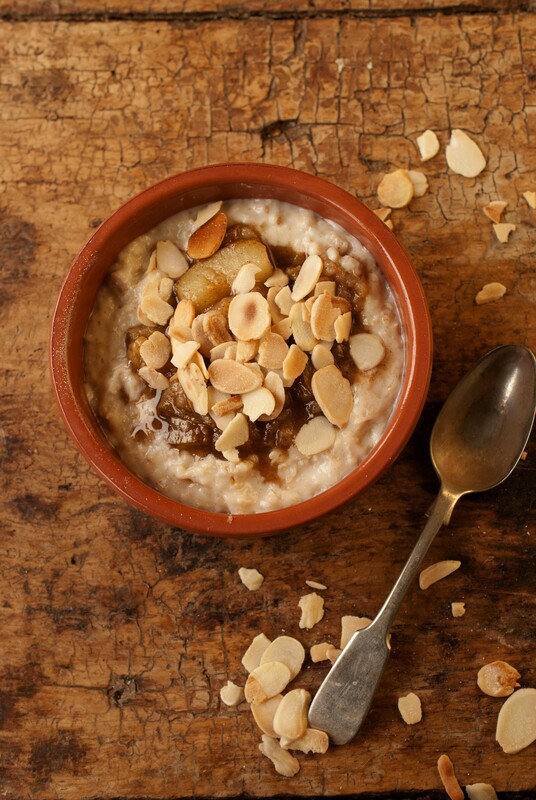 Serve the porridge with the warm compote and some toasted almonds scattered over. 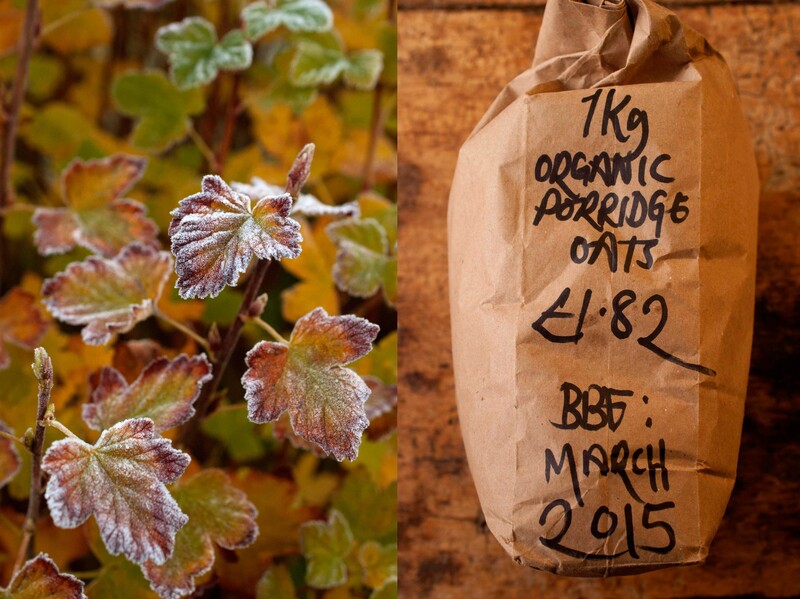 This entry was posted in Breakfast, Winter and tagged almonds, pears, porridge. Bookmark the permalink. Although I’m usually underwhelmed by stewed fruit, I really liked this compote. Leaving the skins on gave a pleasing bit of the texture that is usually missing with stewed fruit, and the flavour was amazing.